The Los Angeles Rams are the first team in 2018 to punch its ticket to the postseason. The Rams clinched the NFC West division title Sunday with a 30-16 win over the Detroit Lions. It marks their second division crown in as many seasons. At 11-1, Los Angeles will look to clinch the NFC's top playoff seed and a Wild Card Weekend bye over the coming weeks. The Rams' remaining opponents were a combined 21-34 this season heading in Sunday, tying them for the easiest remaining strength of schedule in the league. Only one of their last four opponents -- the Chicago Bears -- has a winning record. Congrats to the LA Rams organization for making it two in a row. Could we have ever dreamed several years ago that we'd be working on two consecutive divisional titles in a row, clinching the 2nd one by December 2nd? Unbelievable. 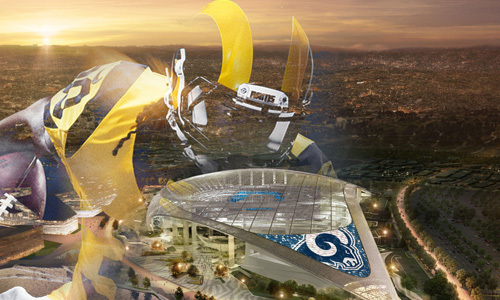 Certainly a great time to be a Rams fan after years of futility. Couldn't ask for anything more up until now. Congratulations to the Rams and to all their loyal fans! That's very good news, though this Chicago defense in their house has me worried. Welcome to the new and vastly improved NFC West. I know only 4 weeks have been played, but i don't think many people believed this division would be the leading the NFL in a few key areas. That is the current record for our division, and it is the best winning percentage(.6875) of any division in the NFL. No matter who wins between Chicago and Dallas tonight, we still have the best winning %. That is the current home record for the NFC West. Talk about home field advantage. The closest any other divisions come is the NFC North(7-2) and the AFC North(5-2) respectfully. The current amount of interceptions the Rams have, which leads the league. Just felt like throwing that in here. I know there are many other statistics and that statistics are not always the end all in proving how good or bad a team/player is. But it is apparent that in this now "pass happy" league, that defense can still be the dominant force and that home field advantage can be more of an advantage then many think. That has surely been proven thus far in the season by our NFC West. , Something to snicker about....Cards, Frisco....and the SEA Buzzards all lost. Sorry just had to laugh at the pathetic showing the the NFC-West. Thank the Almighty the Rams had the dayoff--otherwise it could have been a rout of the conference. NFC West No Longer Worst Division! We're not in the worst division any more! Like being the thinnest person at Denny's. Like being the valedictorian of traffic school. Like being the most stable democracy in the Persian Gulf region. A precursor to an early playoff exit. Better than where the Whiners are.